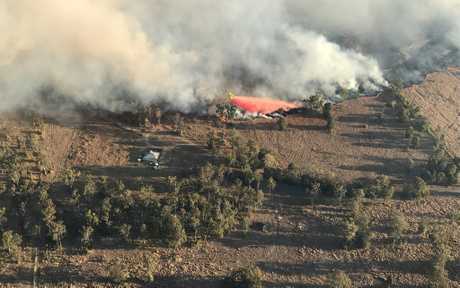 UPDATE 3.45pm: FIRE is impacting homes in the Kippenduff area. Rural Fire Service Northern Rivers Superintendent Michael Brett said the 255 hectare Brewers Rd fire had jumped over Old Tenterfield Rd and fire fighters were in property protection mode. 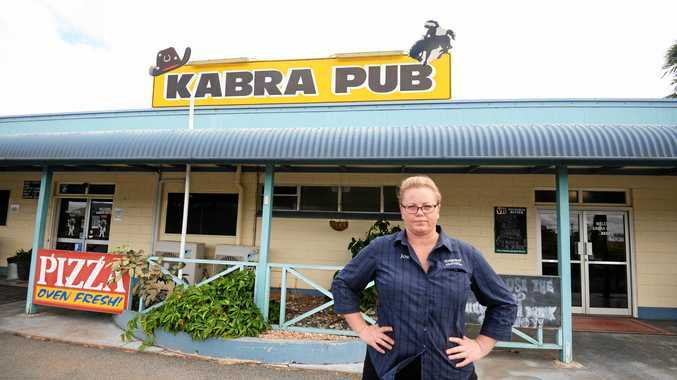 "It took a run about 2pm and it spotted and crossed Old Tenterfield Rd," Supt Brett said. He said properties were being impacted but there were no reports of any property lost. RFS, Fire and Rescue and Forestry crews are at the scene. He said the fire was burning in mostly highly-vegetated area consisting of both hardwood plantations and open country. The fire is burning in a north-westerly direction and wind gusts of 30 to 40km/h have been forecast for the fireground. He said the Mothersoles Rd, Ellangowan fire had been behaving better today, although conditions on the fireground remain difficult. "The Mothersoles Rd fire is not too bad," he said. "It's causing a few headaches but it's not doing too bad." He said crews had been back-burning and mopping up in a bid to contain the blaze today. 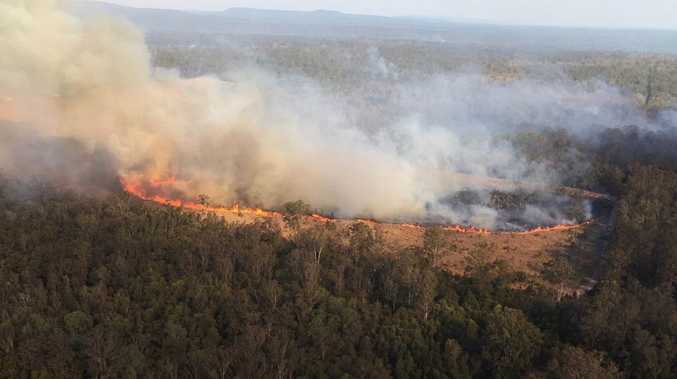 Homes in the vicinity of Lagoon Rd are being impacted by smoke but are not being threatened by the fire, which had burnt through 3047 hectares. Original story: A "CHALLENGING" bushfire at Ellangowan, near Casino, is still being controlled by firefighters. The Rural Fire Service has this morning said that firefighters remain on scene and are continuing to work on strengthening and consolidating containment lines. "Backburning operations will be undertaken as conditions allow," the RFS posted on its website. "This will result in an increase in fire activity and smoke. "Winds are forecast to strengthen tomorrow, which could see gusts of 30-40km/h across the fireground. "The immediate threat to properties has reduced throughout the evening." More than 70 firefighters and eight water-bombing planes were called in to help control the blaze. 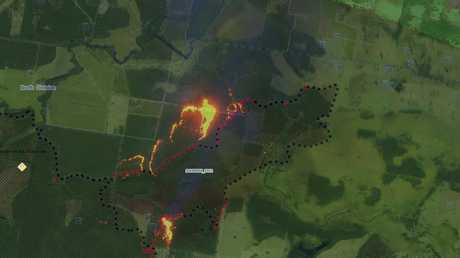 A linescan of the Mothersoles Road fire shows the fire making run to the north. Firefighters are undertaking back burning in a bid to contain the fire. "Residents should be aware, however, that conditions might change quickly," the RFS explained in a community newsletter, issued last night. "It is important to remember that if you live near these fires, you must remain vigilant and monitor the situation closely. "You must ensure your property is well prepared and follow your Bush Fire Survival Plan. "Over the coming days, heavy plant is being deployed to prepare identified containment lines. "Plans are also being developed to contain the fires as more favourable weather conditions present themselves and fire behaviour calms down."